Ever wonder how those folks on ‘Whose Line Is It Anyway’ create comedy on the spot? 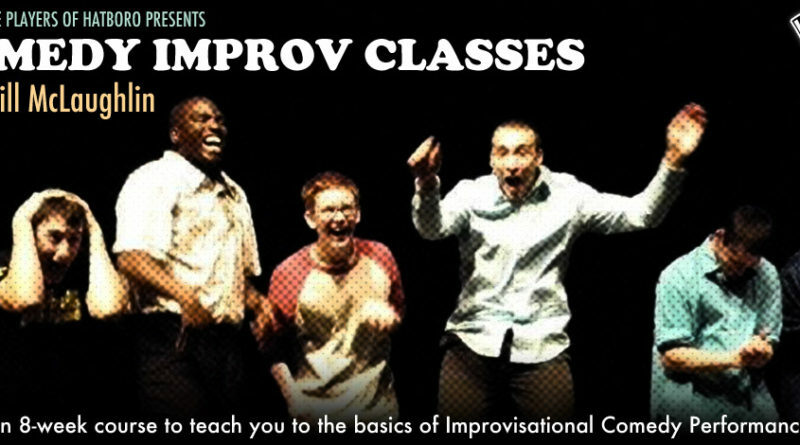 This 8-week course will introduce you to the basics of Improvisational Comedy Performance. Instructor Bill McLaughlin performed in Chicago and is a founding member of The Chicago City Limits, New York’s longest running comedy revue, and performed and taught in NYC for 25 years. Formerly an adjunct faculty member at Bucks County Community College, Bill is currently a guest instructor for numerous companies in Philadelphia, New York, Houston, and London UK. Classes will be held at The Village Players of Hatboro theater at 7:30pm on Thursdays. Classes will start on July 13th and will run through August 31st. A one-time fee of $160 is due by July 12th. This fee is non-refundable once classes begin. If you have any questions, please contact Bill McLaughlin at cccpbillm@gmail.com. By clicking “Pay Now” below, you agree to the terms listed above. If you do not see a PayPal button, please use this link to go to PayPal. Is there a max on the class size? Hi, Joe! Unfortunately, I can’t answer your question. Mr. McLaughlin is organizing these courses so we encourage you to direct this and any other questions to him at cccpbillm@gmail.com. Thanks! I’m here to tell youse that McLaughlin is The Best. There…I said it.